In the last several months, European officials have presented a range of visions for the future of the continent. 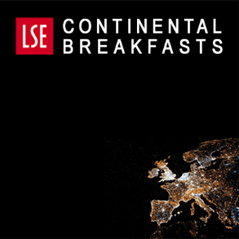 Iain Begg (LSE European Institute) looks at likely scenarios in the wake of European Commission President Jean-Claude Juncker’s latest State of the Union and contends that interest in Brexit and the Brits is declining across the continent. Where is Europe headed? After the European Commission’s publication of a white paper on the future of Europe and a series of reflection papers looking at the likes of Eurozone deepening, social Europe, and the EU’s finances, European Commission President Jean-Claude Juncker’s latest State of the Union address extended the debate. The tone of the address this year was largely positive about developments in the EU, in contrast to that of 2016, widely seen as pessimistic. The speech welcomed the rise in employment and emphasised the pace of economic recovery, especially in the Eurozone, noting that EU growth has outstripped that of the US in the last two years. The “wind in the sails” metaphor used in the speech is in part about the strengthening economy, but also related to what Juncker sees as the renewed capacity of the Union to achieve results in dealing with its many challenges. 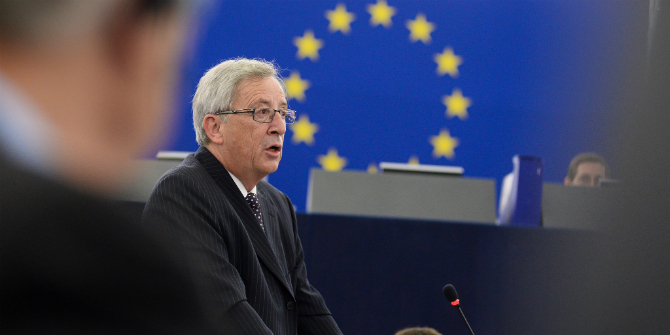 Throughout the speech, Juncker referred to the 27 Member States (never 28), making clear that he already regards the UK as ‘other’, even though the conclusion of the secession process is still eighteen months away. UK negotiators would be well advised to take note that interest in Brexit and the Brits is declining across the continent. Barely two lines, towards the end of a ten-page speech (in the official version posted on the Commission website), were about Brexit. As delivered (in French), what he said can be translated as: “Brexit is both a sad and tragic moment in our history. We will always regret it and [turning to the UK MEPS in the front row, including Nigel Farage who was busy scribbling notes] you will regret it soon. But we will advance. Brexit is not the be all and end all; it’s not the future of Europe”. Looking forward to 2019, he even called for a special summit to be held the day after Brexit to take decisions about a post-Brexit EU. Can’t wait? The white paper published in March 2017 laid out five scenarios for the future of Europe, ranging from what can be described as the status quo (scenario one) to much closer integration (scenario five). Although the paper was careful not to signal a preferred option, it tried to spell out the consequences of each of them. Thus scenario two, retrenching to the single market (highly unlikely to find favour), would mean a reversal from the closer integration of previous decades, whereas scenario three would see only certain countries agreeing to closer forms of integration. Scenario four would entail selectively closer integration and EU withdrawal from areas where integration cannot (or can no longer) be justified. Juncker tried, in his speech, to be more prescriptive by spelling out what he called “my own view: my ‘scenario six’ if you will”. He rightly emphasised the importance of values in defining the purposes of European Union, identifying freedom, equality, and the rule of law as pivotal principles. Many would endorse this list and add further values, for example: stability, tolerance, solidarity, and a raft of cultural attributes. He offered hope of EU membership to countries in the Western Balkans, though not soon, but went on to bemoan developments in Turkey and effectively rule out membership for Turkey “for the foreseeable future”. So much for enlargement. But scenario six is primarily about closer union among the existing member states, with Brexit providing the spur for moves in a federalising direction. If Juncker’s ambitions are realised, there will be seats in the European Parliament for transnational members, a defence union, a European (not just Eurozone) Economy and Finance Minister, the emergence of a new European Monetary Fund from the existing bailout fund (the European Stability Mechanism), and an end to the need for unanimity on establishing a common corporate tax base. Channelling his inner Henry Kissinger, he also called for a unification of the two presidencies of Europe (Commission and European Council). Though not reported in the official record, he made clear his preference for a larger EU budget. Although these aspirations were tempered by the announcement of a Subsidiarity and Proportionality Task Force intended to confine EU action to areas where it can “add value”, scenario six is, in practice, very close to the much closer union set out in scenario five of the white paper, with a modicum of scenario four. This prompts the question of whether it is realistic. Outside the ‘Brussels bubble’, there is not only much less enthusiasm for significantly closer integration, but also divergent views on what should be integrated. The uncomfortable fact is that even in a union stripped of the often-obstructive UK, allowing some to opt out may be the only way for others to achieve what they want, in other words, scenario three. Image by Euractiv.com, (Flickr), (CC BY-SA 2.0). In this regard, it is intriguing to note the diverse reactions to Juncker’s speech. In Ireland, much of the attention was on threats to its low corporate tax rates, while in Poland the calls for closer integration were characterised as the Commission having learned nothing from the Brexit experience. The German press (see the reports in Bild and in the FAZ) mainly focused on the call to bring more countries into the euro, ideas about refugees, and the strong words about Turkey. Surprising no one, German Finance Minister Wolfgang Schäuble urged caution about extending euro membership too rapidly. The French newspapers Le Monde and Le Figaro used almost identical words in reporting how Juncker’s proposals for Eurozone reform were less ambitious than those of French President Emmanuel Macron, while an editorial in the former saw his proposals as a being midway between French and German aims. Curiously, three separate reports in Spain from El Pais, La Vanguardia, and RTVE all highlighted the Commission President’s support for bringing other members into the euro and Schengen Area and his apparent dismissal of differentiated integration. La Vanguardia, as might be expected of a paper based in Catalonia, also noted that the Commission President (in an interview the same day) said he would respect a yes vote in the contested referendum forthcoming in the region. In Italy, La Stampa’s headline was about the praise for Italy’s efforts in dealing with migrants, with Il Corriere Della Sera highlighting the same phrase about “saving Europe’s honour”. The report also drew attention to the proposals for deepening economic governance, the apparent rejection of multi-speed Europe and the criticisms of Turkey. Meanwhile, many of the headlines in Britain were about Juncker’s references to Brexit: “UK will regret Brexit” (BBC), “You’ll regret it” (Daily Mail). Although true to its internationalist vocation, the Financial Times portrayed the speech as calling for a “new impetus for EU reforms”. This article first appeared on the Dahrnedorf Forum. 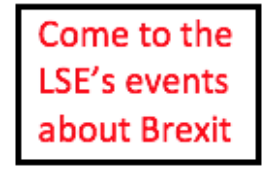 It gives the views of the author, and not the position of LSE Brexit, nor of the London School of Economics. Iain Begg is Professorial Research Fellow at the European Institute and Co-Director of the Dahrendorf Forum, London School of Economics and Political Science.